Information security is indispensable to winning customer confidence in Financial Services industry. 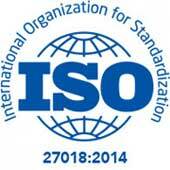 Lemnisk is ISO 27001 certified and ISO 27018 compliance certified, accredited by BSI. Your data is secure with us. ISO/IEC 27001 is the best-known standard in the family providing requirements for an information security management system (ISMS). The focus of ISO 27001 is to protect the confidentiality, integrity and availability of information. Lemnisk conforms to all of the 114+ controls specified by this standard. ISO 27018 is the first privacy-specific international standard for cloud service providers that is tailored to address cloud computing services. It contains specific guidelines related to reducing information security risks applicable to PII in a public cloud offering. ISO/IEC 27018:2014 establishes commonly accepted control objectives, controls and guidelines for implementing measures to protect Personally Identifiable Information (PII) in accordance with the privacy principles in ISO/IEC 29100 for the public cloud computing environment. Penetration tests attempt to exploit the vulnerabilities in a system to determine whether unauthorized access or other malicious activity is possible and identify which flaws pose a threat to the application. Penetration tests find exploitable flaws and measure the severity of each. 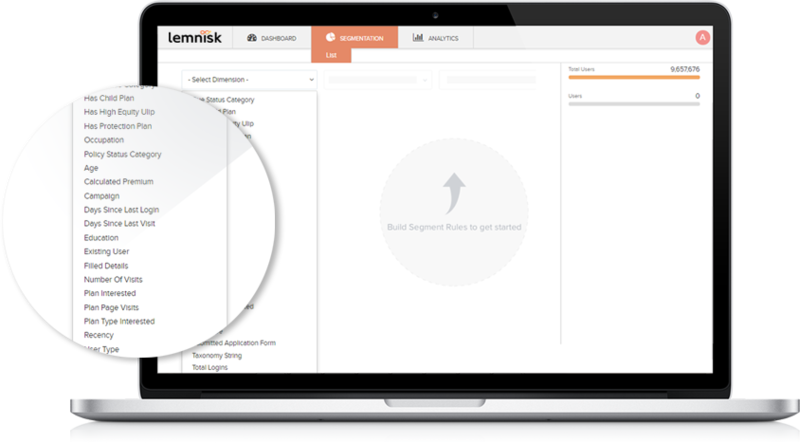 Using the Vulnerability Assessment and Penetration Testing (VAPT) approach gives Lemnisk a comprehensive view of the threats facing our applications, enabling us to better protect our systems and data from malicious attacks. The platform is built for Banking, Insurance and Financial Services by experts who have spent decades in the industry and understand the nuances of the business. It has prebuilt variables specific to the Financial Services domain which allow you to create much sharper user segments for targeting. The platform has prebuilt variable specific to the Financial Services domain which allow you to create much sharper user segments for targeting. It’s great to know that a user visited the Life Insurance page. But now you can also capture the premium amount, age, gender, and other variables. It’s great to know that a user visited the Home Loans page. But hold on, you can now capture the loan amount as well which he/she obtained from the calculator. The platform also enables you to seamlessly ingest NBO (Next Best Offer) variable for existing customers. The buying behaviour in the Financial Services industry is unique and it’s entirely different from e-commerce or any other industry for that matter. Algorithms which work for a media company are never going to fit your needs as a Banking or Insurance marketer. The Data Scientists at Lemnisk have spent thousands of hours and built algorithms which are specific for the Financial Services industry. The Banking and Insurance industry in itself is very critical in nature and demands much deeper attention to detail than other industries. Machine learning algos are much more subtle since each user is different and the average behavior of a sample population can’t be relied upon. The algo needs to capture user signals and act in real time. The relationship between variables and responses is mostly non-linear. As opposed to the e-commerce buying behaviour, conversions increase non-linearly with the number of views until a certain range and then flattens out or may even decrease. The Weightage of variables has a skewed distribution, i.e, the weight of certain variables is much higher compared to the rest. A user spending more time on the website Home page will be less useful than a user spending more time on, say, the “Personal loan” page.